For the past four years, the AHC Group has sponsored a series of special workshops focused on Energy Competitiveness and Carbon Innovation. We invite you to attend the eleventh workshop in this series. Until recently, energy planning has been mostly a technical manager function about getting the best rates from your local utilities and, at times of price spikes, on improving energy efficiency. This has mostly been an engineering/cost function at all great firms. Today, efficiency improvement continues to be a major concern; but we are finding the ability to purchase or to build renewables cost-effectively, to generate power in strategic locations, and to use micro-grids and storage to enhance energy security offer more strategic ways to reduce energy costs and enhance the competitiveness of corporate facilities. A new world of energy optionality has emerged, with a range of energy providers, optimizers, and suppliers offering many complex choices. 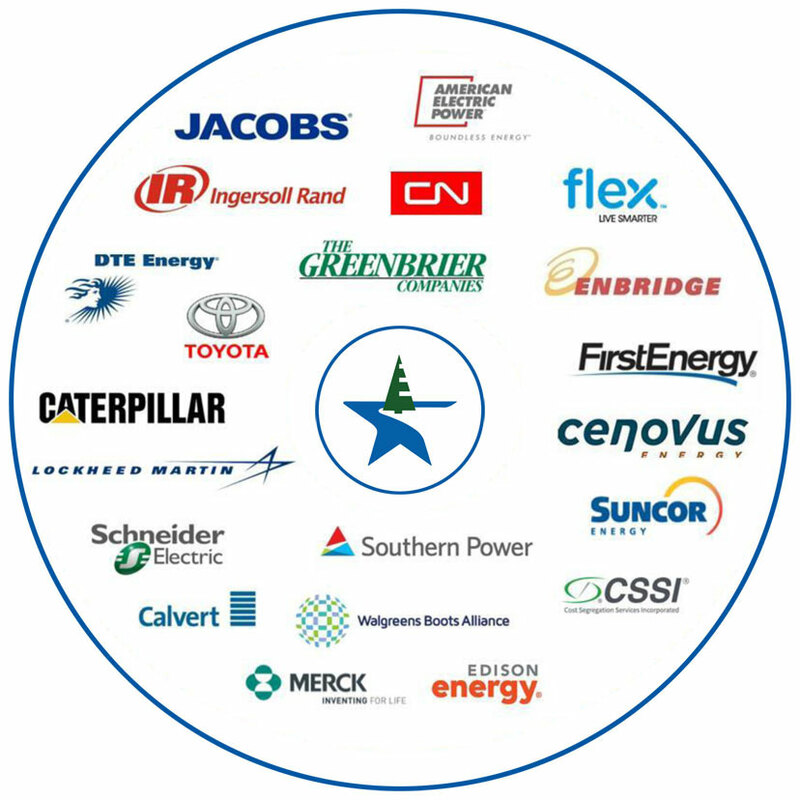 Suddenly, in the last four or five years, such a menu of options in energy has become of sustained concern at the senior management and Board level of the hundreds of firms we have served since 1981. Much of this is market-driven, combining strategy, innovation, brand, investor relations, and other parts of leadership councils. 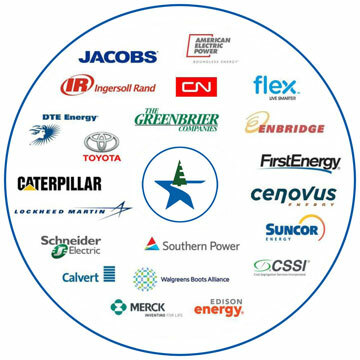 To examine this menu of market-driven strategic options, we now have organized a 40-firm Business-to-Business best-practice summit, hosted for this October 2018 session by our corporate affiliate, Southern Power, at their Birmingham headquarters. 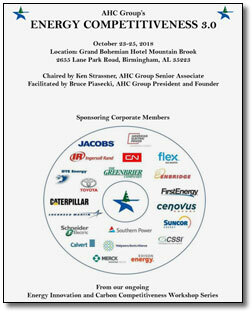 For the past four years, the AHC Group has sponsored a series of special workshops focused on Energy Innovation and Carbon Competitiveness. We are pleased to have completed the eleventh workshop in this series. Besides these presenters, there were several panels with leading companies reporting on their commitments, decisions, and steps planned forward. Over a focused day and a half, this meeting was designed to give attendees practical and strategic guidance that they can take back to their leadership councils in a format of use. AHC Group workshops are actively facilitated, and designed for interaction between the large sponsors, speakers, and invited leaders. They are held under Chatham house rules in a private sanctuary that is ongoing. Additional information on the workshop may be obtained from Bruce Piasecki, President and Founder of the AHC Group, at bruce@ahcgroup.com. For more on the history of our ten prior sessions, please contact our workshop chair, Ken Strassner (ken@ahcgroup.com), formerly from Kimberly Clark, where he made these types of energy decisions.